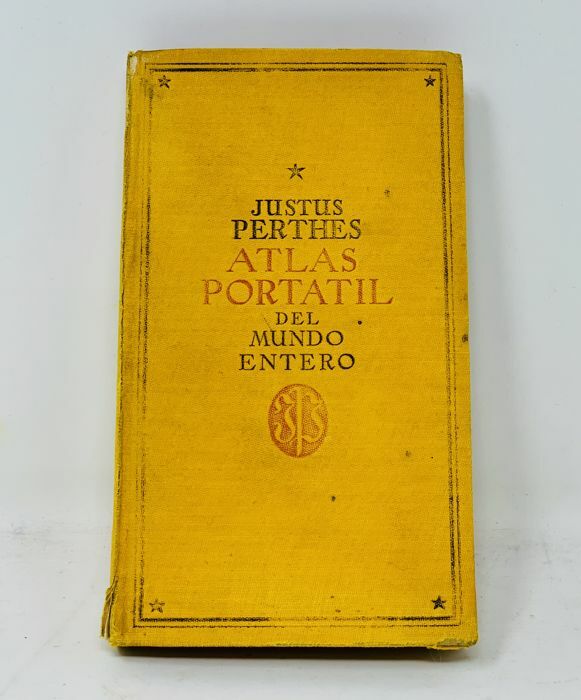 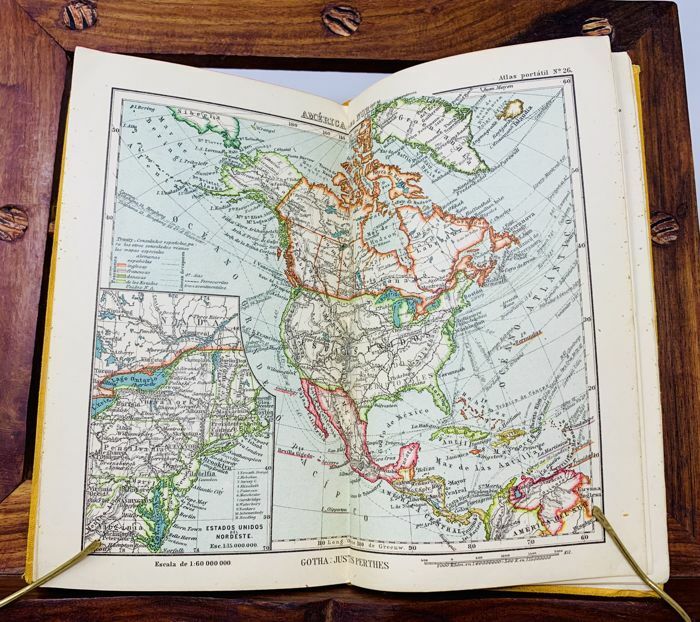 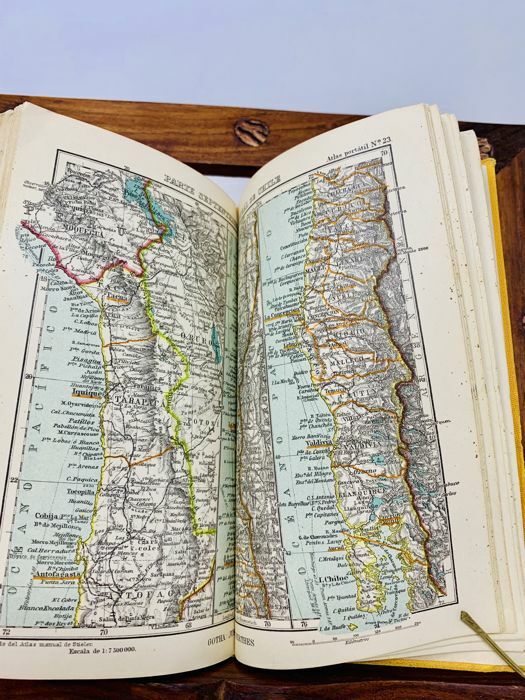 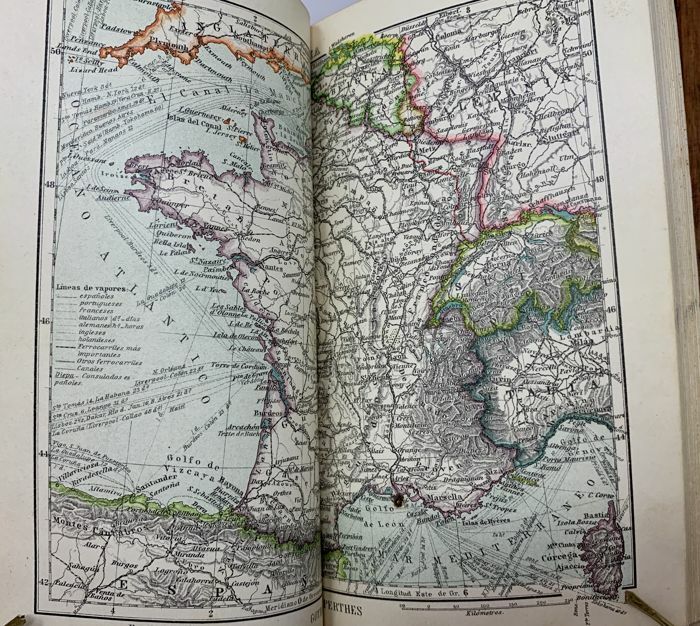 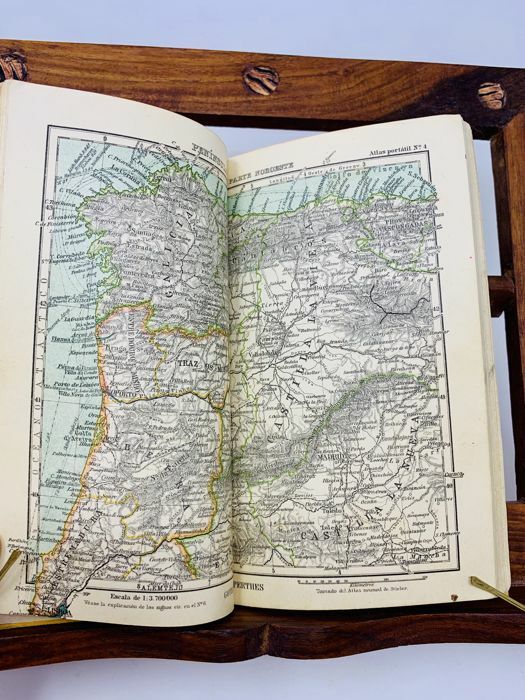 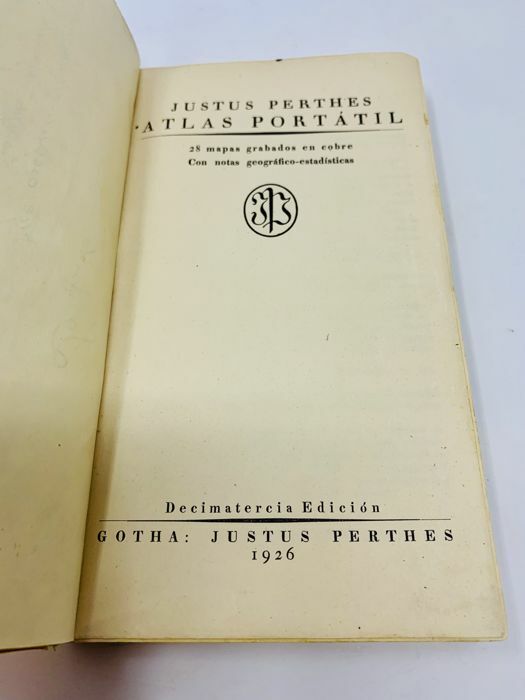 Pocket atlas of the famous edition of Justus Perthes. 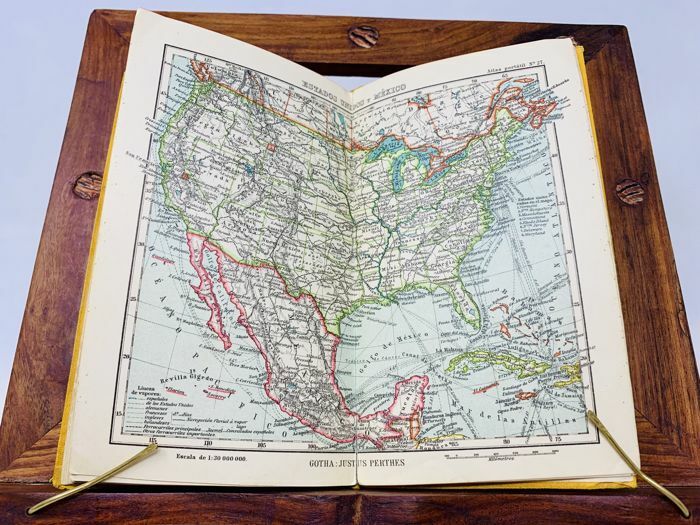 It has 28 copper engravings and initial foreword by the author. 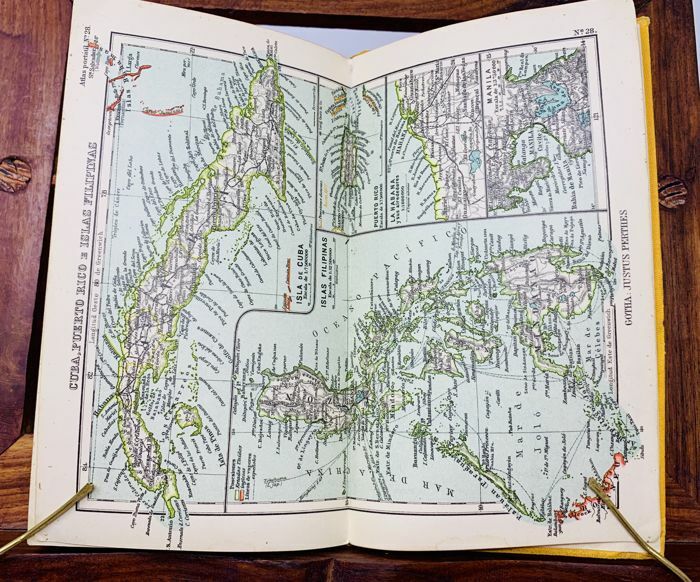 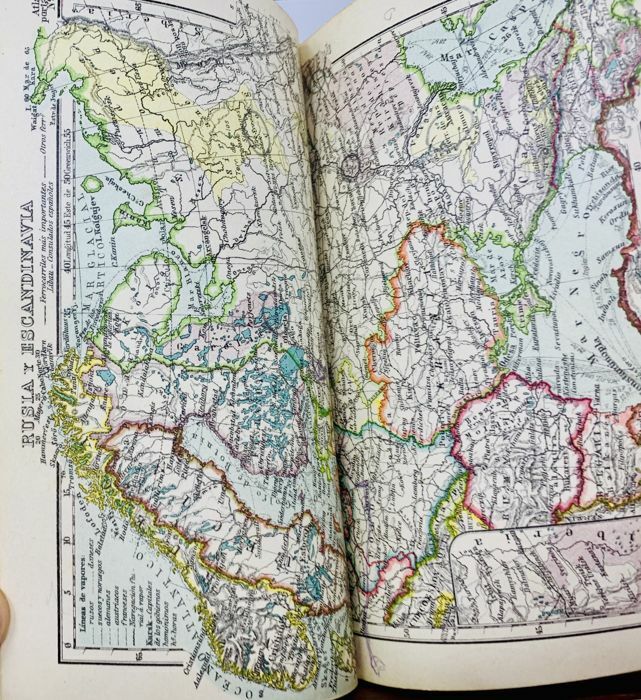 It is an edition of 1926 and at the back it has advertising of maps of the time. 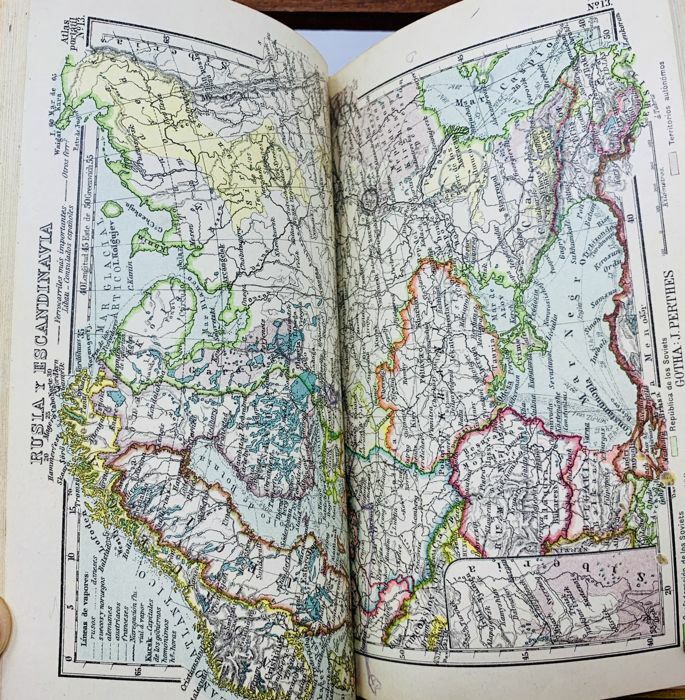 The book is very well preserved and has hard covers. 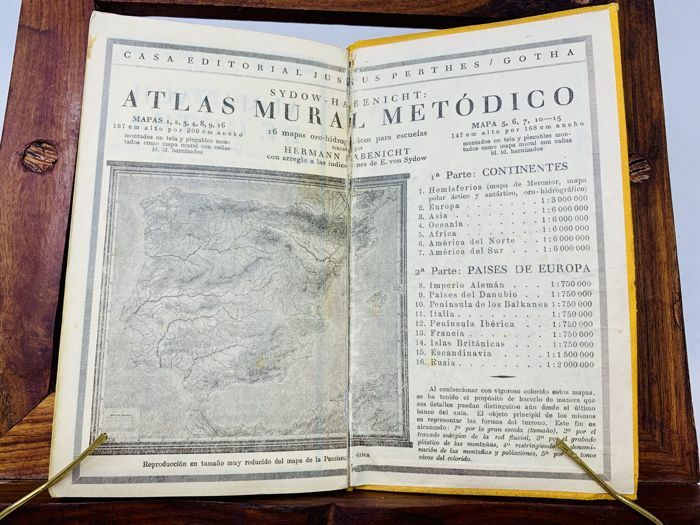 U kunt dit kavel ook ophalen bij de verkoper: Guadarrama (Madrid), Spanje.